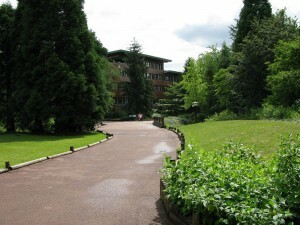 Are you visiting Disneyland Paris but aren’t sure where to stay? Check out this review of Disneyland Paris Hotels to pick the one that suits you and your needs best! If you want the total Disney experience during your stay at Disneyland Paris, there are seven Disney hotels you can choose from. Staying in Disney hotels offers many benefits such as free shuttle service to the parks, FASTPASS services, and access extra park hours. Here is a comprehensive list of all of the Disneyland Paris Hotels. If you are looking to live in luxury during your stay, the Disneyland Hotel is perfect for you. 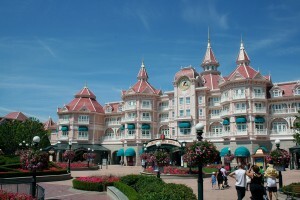 This is a 5-star hotel located right at the entrance of Disneyland Paris Park, steps away from all of the rides and characters. Its Victorian-era design allows you to escape from the modernity of today. Included in its facilities are a swimming pool, a gym, a spa room, room service, and three dining options with character dining*. 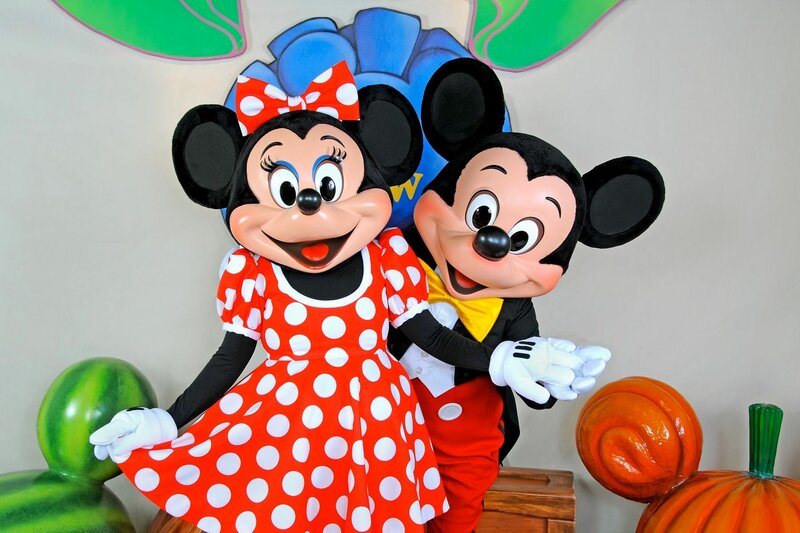 *This is the only Disneyland Paris hotel that offers character dining! 2. Disney’s Hotel New York – our pick! This stylish 4-star hotel is located right next to Disney Village, about a 10-minute walk from the park. 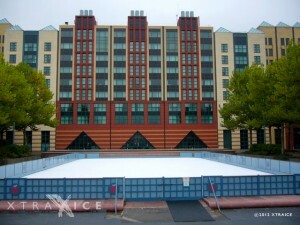 This New York style building allows you to live like a true New Yorker during your stay in Paris, complete with spacious rooms and the largest pool at Disneyland Paris. Many of the same amenities offered at the Disneyland Hotel are offered here, as well. 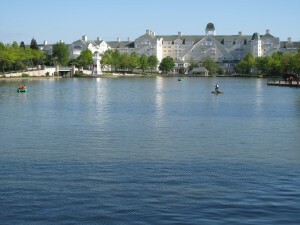 This newly renovated, mansion-style hotel is located right on Lake Disney with a 15-minute walk to the Disney parks. The inside of the Newport Bay Club is designed with the sea in mind – each room is nautical themed! With Lake Disney right next your window, it might be hard to remember that you are in-fact just outside of the city of Paris! Don’t feel like walking to the parks from Disney’s Newport Bay Club? Take the free shuttle! The Sequoia Lodge is perfect for people looking for people looking to cuddle up next to a campfire and relax. Here, you can imagine you’re in the mountains, surrounded by tall trees and Lake Disney. Bambi-themed rooms fit the theme perfectly. This hotel is a 15 minute walk from the Disney Parks (or a quick ride on the free shuttle) and offers two dining options, a pool, a fitness center, and a sauna. Are Old Westerns your favorite movies? Do you know someone who loves cowboys? If so, Disney’s Hotel Cheyenne is the right place for you! This hotel is decked out in Old West decorations, with a saloon and Woody-themed rooms. It is a 20-minute walk or a few minute shuttle ride from the Disneyland Parks. Unfortunately, there is no pool at this hotel, but there are two dining options, an indoor play area, and pony rides. Disney’s Hotel Santa Fe is great for people who want the Disney experience, but also want to save some money. Out of all the Disney hotels, this one has the best value. Guests can enjoy Disney Pixar’s Cars-themed rooms and two dining options. Although there isn’t a pool, there is a boutique, a video game room, and an indoor play area for kids. You can get to the Disney Parks from Hotel Sante Fe via the free shuttle. This ranch-style accommodation is much different from the aforementioned hotels. Located 15 minutes away from Disneyland Paris by car, Davy Crockett’s Ranch offers guests the ability to get in touch with their natural side. The cabin-style rooms come equipped with kitchenettes, but have no fear, there are two dining options on the premises. Although this hotel won’t give you that typical Disney experience, it offers the Davy Crockett Adventure, a treetop playground for climbers of all ages looking to explore. If you choose to stay in a Disney hotel, you may have easy access to Disney FASTPASS services! Depending on the type of room you choose to stay in, you could have access to the V.I.P. FASTPASS or the regular FASTPASS. At the Disneyland Hotel, Disney’s New York Hotel, Disney’s Newport Bay Club, and Disney’s Sequoia Lodge, if you choose to stay in a Suite room, you will receive a V.I.P. FASTPASS. If you stay in the next best quality room, you will receive a regular FASTPASS. So, what’s the difference between a V.I.P. FASTPASS and a FASTPASS? The V.I.P. FASTPASS gives guests unlimited access to all FASTPASS lanes. The FASTPASS gives guests access to FASTPASS lanes only once they have been given their designated time to go on the ride. 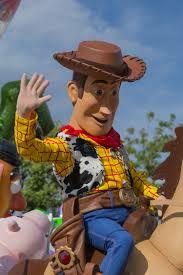 Staying at a Disneyland Paris hotel comes with many benefits, one of the most important being Disney’s Magic Shuttle airport shuttle service to and from CDG or Orly airports and Disneyland Paris Hotels. Since parking is available at the park and at each hotel, you have the option of driving to your Disneyland Paris Hotel as well. More detailed driving instructions to Disneyland Paris can be found in this article. A third option would be taking the RER A train to Marne-la-Vallée/Chessy. Disneyland Paris is about a few minutes walk from this train stop. Amplify your Disneyland Paris experience by choosing to stay in a Disneyland Paris Hotel.